We offer to buy Acer 31.5" a monitor with FHD 1920x1080 resolution. Thanks to FullHD (1920px X 1080px) resolution this monitor will be perfectly suitable for enjoying BlueRay quality films in the full screen mode. 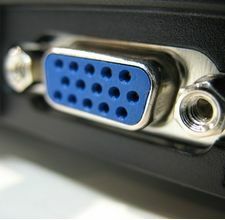 The port DVI ensures the compatibility with the classic video cards equipped with this port. The port D-SUB supports graphics cards with the preceding generation analogous VGA plug-in and the comparatively newer generation DVI-I standard using a transition DVI-I -> D-Sub. 4ms fast response time makes this monitor perfectly suitable for enjoying computer games and dynamic films.